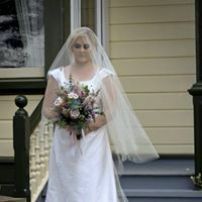 Welcome to Demelza Davidson Bridal Wear - online shop for wedding dresses, bridal gowns, veils and accessories. Browse my exquisite collection of one-off bridal gowns; each style revealing a personal touch of embroidery, lace, crystals, or other detail; designed to make your wedding dress the perfect match for your special day. My designs are affordable and are made from high-quality fabrics using superior construction methods with attention to detail, fit, and cut. I encourage clients to view, touch and try on dresses (by appointment) at my home studio and provide an onsite alteration service for a perfect fit. 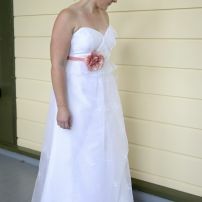 I also stock a selection of petticoats for sale or hire.